While the rest of Japan is still coated in autumn's red leaves, Hokkaido is already in the midst of preparing for its renowned winter. 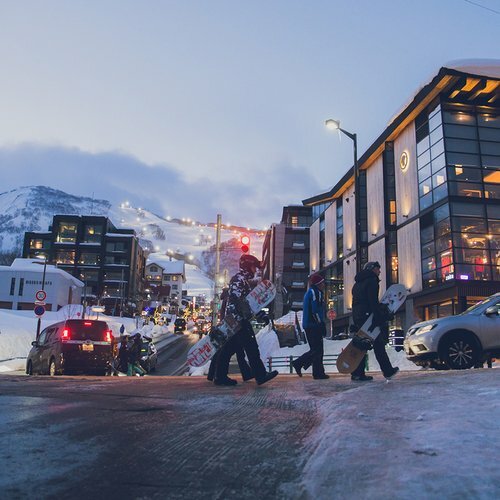 This year, the cold season seems to set in early as we have already received heavy snowfalls. 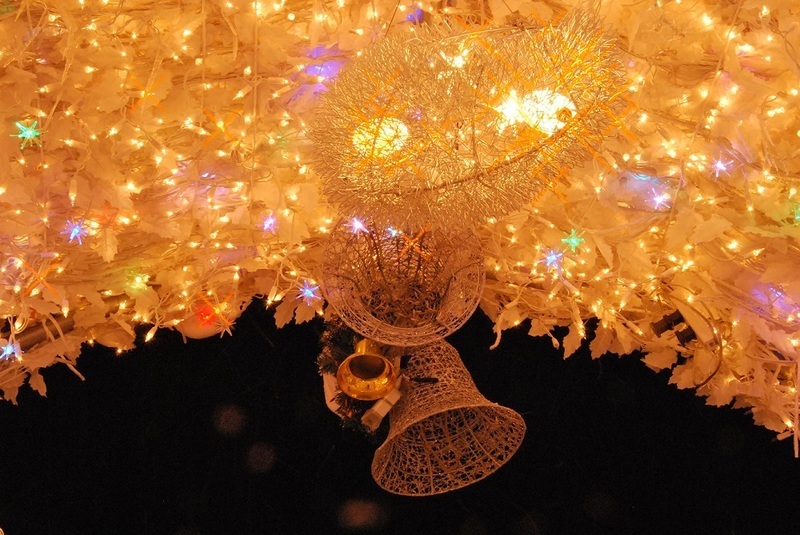 Along with the cold comes a magical scenery, where glittering and sparkling illumination shows are found throughout the island. Usually taking place in a Christmas thematic setting in November and December, the later winter months are hosts of Snow Festivals in January and February. 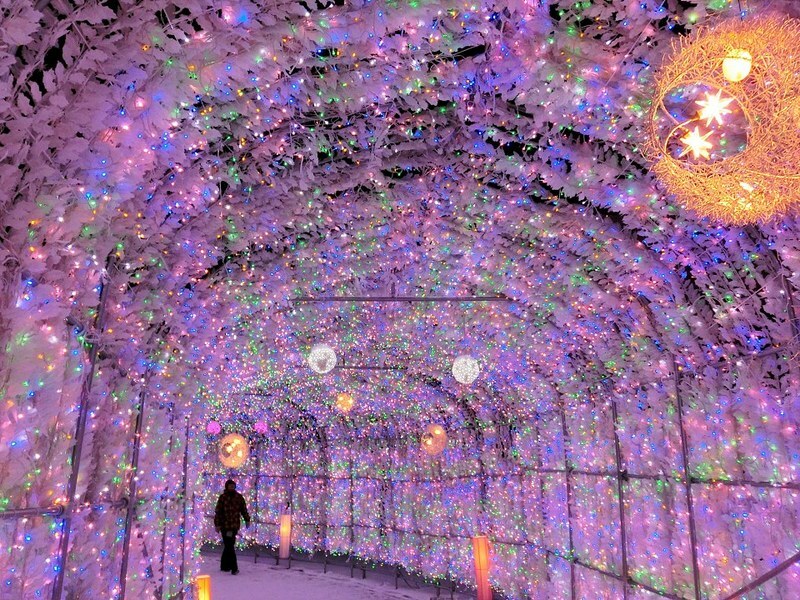 If you are travelling to Hokkaido this winter, be sure to visit the illumination events below and make your trip a memorable and romantic one! 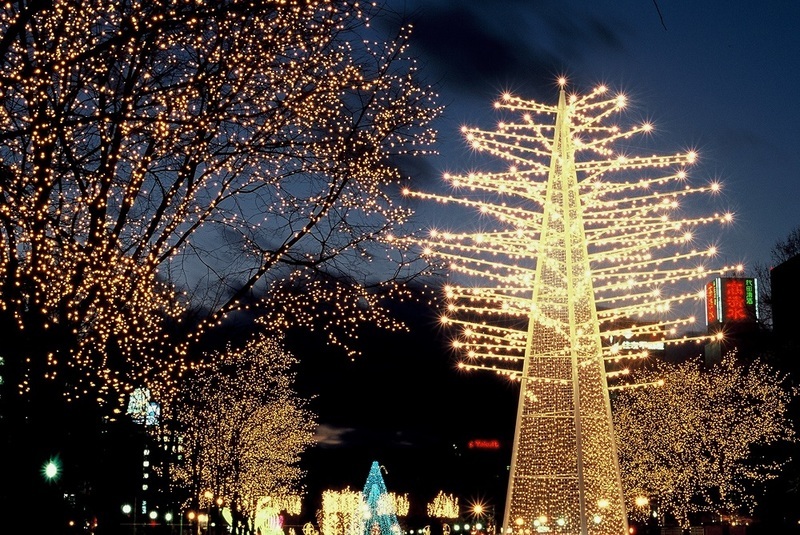 This event dates back to 1981, when 1,000 light bulbs were used to lit up Odori Park 2-chome Plaza. The event has increased in scale over the years, making it one of the most renowned gathering in Japan. 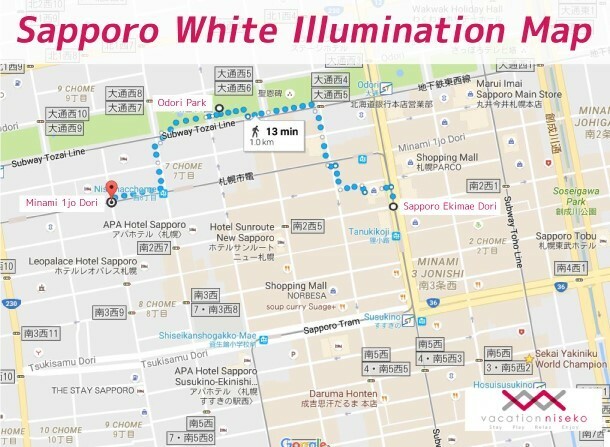 Nowadays, Sapporo White Illumination is held at three main sites throughout the city. 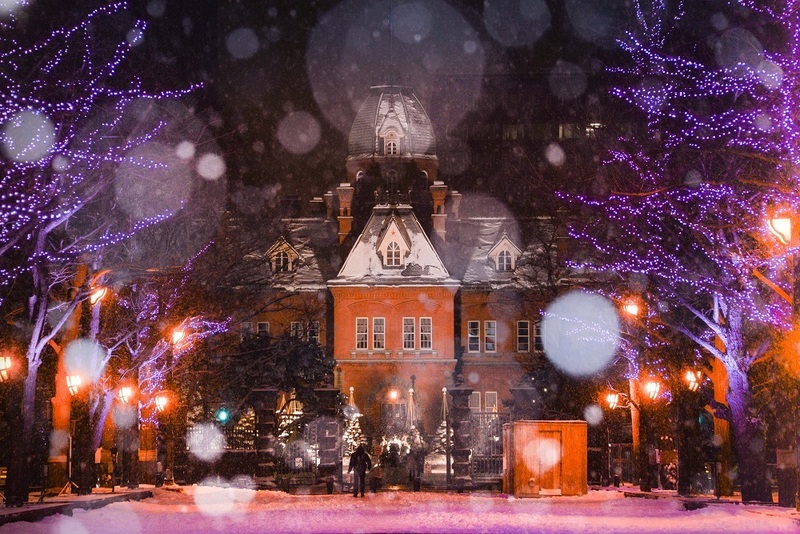 Sapporo City is lit up in a romantic fashion during winter. The glittering lights have added more charm to the Former Hokkaido Government Office Building. 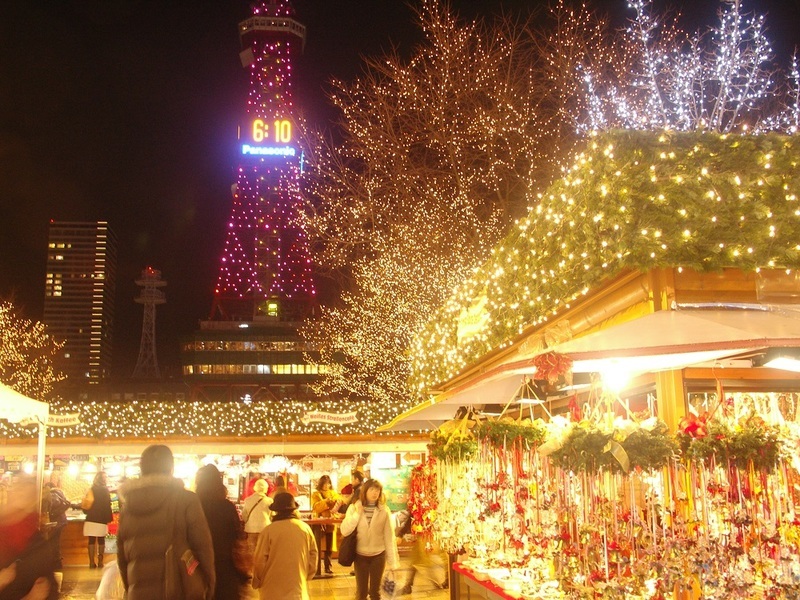 The Christmas atmosphere really picks-up towards the end of November, when the Munich Christmas Market begins at Odori Park. Stalls selling Christmas items such as hot wine, German food and more are set up in the Park. This event first originated in 2002, when Sapporo celebrated its thirtieth anniversary with its sister city, Munich. With the aim to have an Earth-friendly illumination event, LEDs lightbulbs are used for the display and generators using biodiesel are set up at the venue. Biodiesel is a form of renewable energy which uses refined fuels from used edible oils for power generation. A recycle collection box is set up at the park to encourage residents and companies in Sapporo city to donate their used cooking oil. 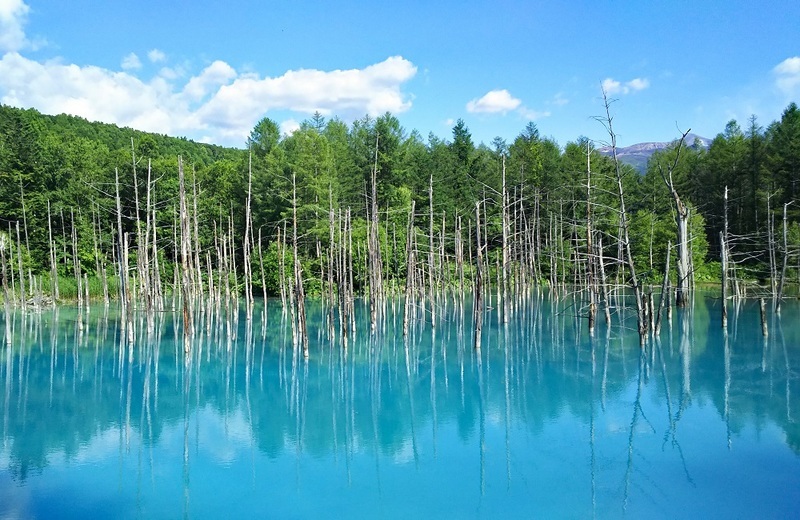 Lake Toya is a region famous for its numerous onsens and is located about one hour away from Niseko. 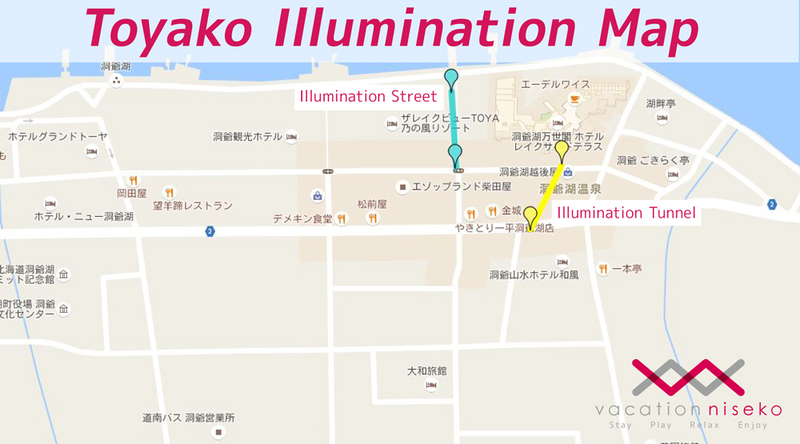 The Onsen Street starting from Toyako Steamer Headquarters building (洞爺湖汽船本社) will be lit up in winter. Decorated with a total of 12,000 LED lightbulbs, you can see the ravishing lights from 5pm daily, starting from 1st November, 2016 - 31st March, 2017. 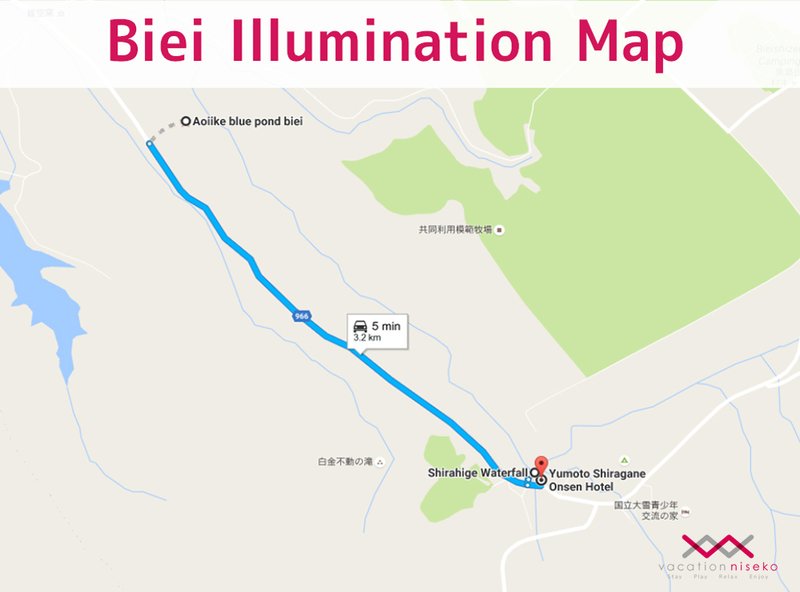 The illumination event at Otaru is made up of two parts: Otaru Snow Story (小樽ゆき物語) and Otaru Snow Light Path Festival (小樽雪あかりの路), exhibiting distinct picturesque sights. 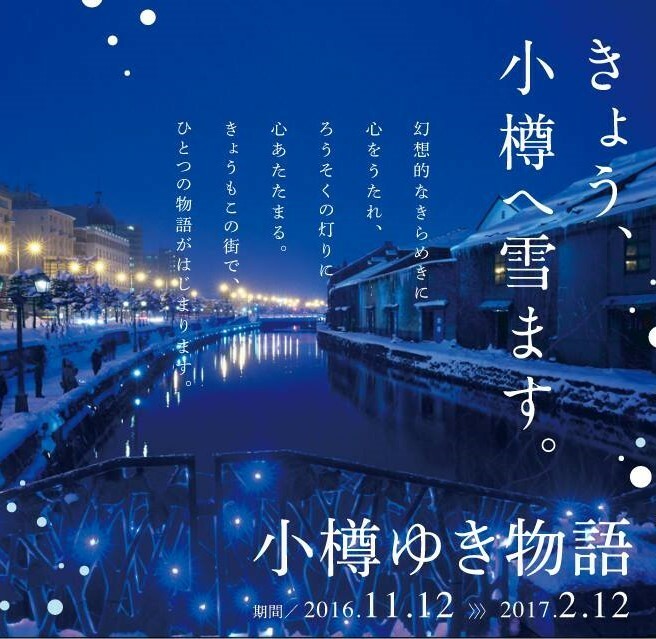 During the first stage of the event (12th November, 2016 - 31st January, 2017), the Otaru Canal will be dressed in 10,000 blue LED light bulbs to create the famous Canal in Blue (青の運河). The illumination takes place from sunset to 10:30pm every night. 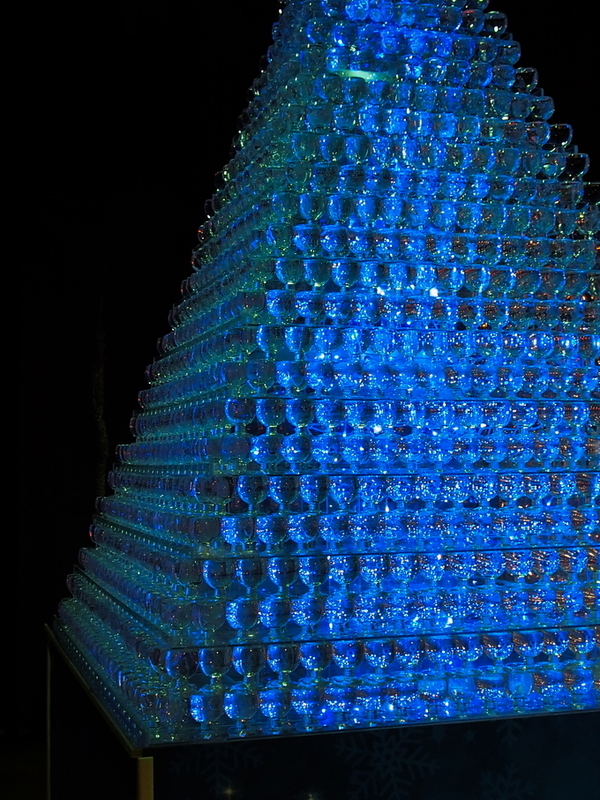 In addition to the Blue Canal, Otaru Wine Glass Tower will be back this year! 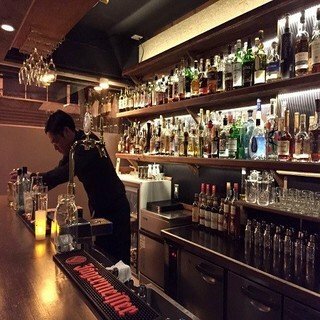 Consisting of approximately 2,000 wine glasses, Otaru Wine Glass Tower is hand-made by local Otaru residents and will be displayed at Otaru Canal Plaza until 12th February, 2017. 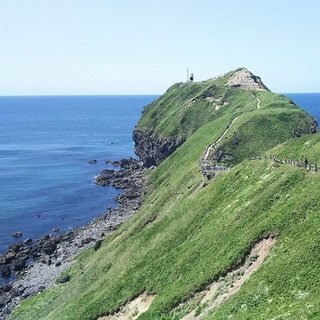 This alluring masterpiece is a must-see during your visit to Otaru. 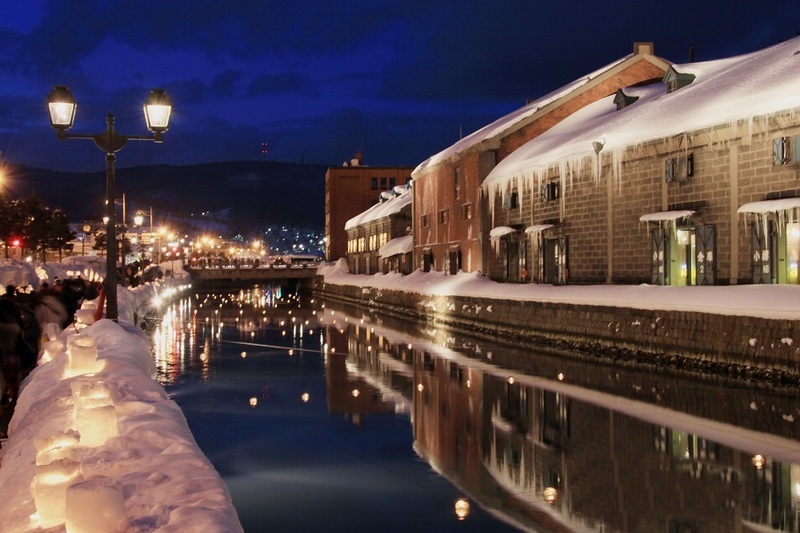 Between 3rd and 12th February, 2017, the Otaru Canal will be lit up by candles and small snow statues. Otaru Snow Light Path is an important winter tradition of the port city and the dates of the festival usually coincide with Sapporo Snow Festival to facilitate the life of tourists wanting to visit both places. The canal will be lit up with ball candles after 5pm daily and there is a row of small illuminated snow statues lining up the path next to the canal. Coupled with dry snow falling from the sky and lanterns lighting up the city, the small town exhibits a romantic atmosphere during this period of time. 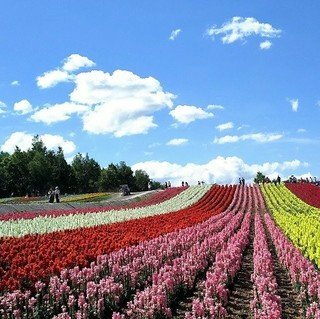 The beautiful flower fields and Blue Pond are very popular in summer and are now also worth a visit in winter! 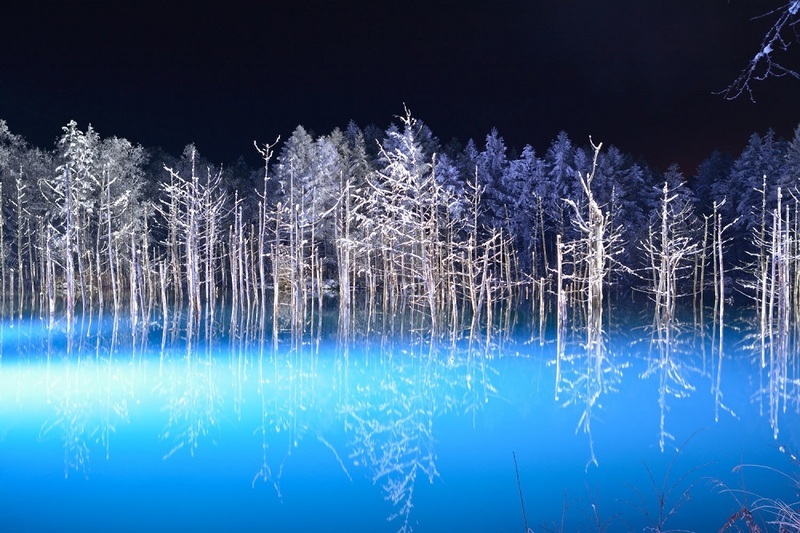 In order to further promote winter tourism, Blue Pond is now open in winter during an illumination event. 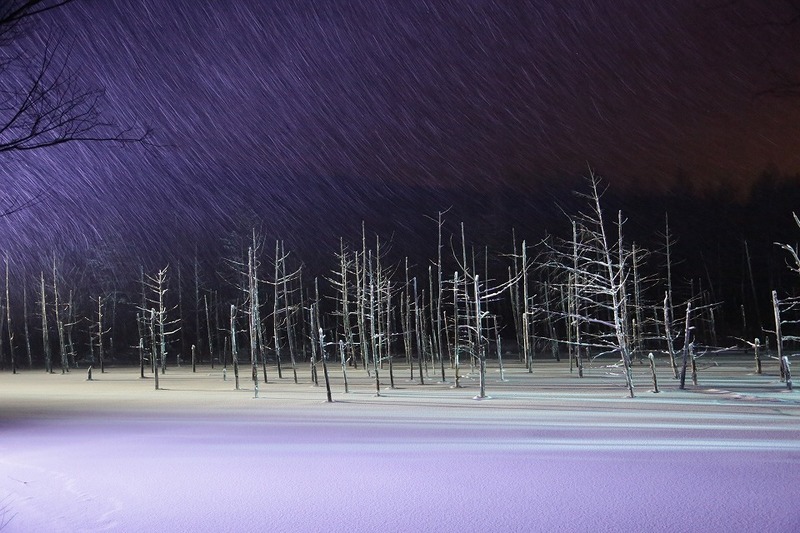 Diverse lighting patterns will be displayed to express different winter stories at Blue Pond, making it more charming than ever. 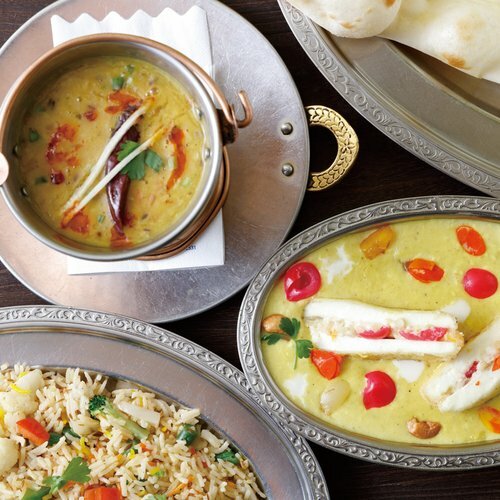 Get ready your camera to capture this unforgettable moment. The nearby Shirahige Waterfalls will also be lighted up at the same time. It is best to complete your trip with the Shirogane Onsen, which is made of 100% natural hot spring water. Once used as a wallpaper by Apple, Blue Pond in Biei is one of the most popular sightseeing spots in summer. For guests who do not prefer to drive on the snow, you may consider the bus tour arranged by Biei Tourism Association. The bus leaves JR Biei station at 17:00 and returns to Biei station at 19:30. 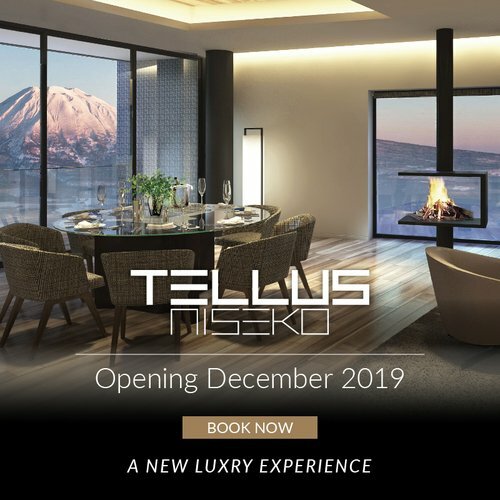 Whether planning a much-needed break from skiing or treating the kids to something special, contact Vacation Niseko's reservation staff for help. 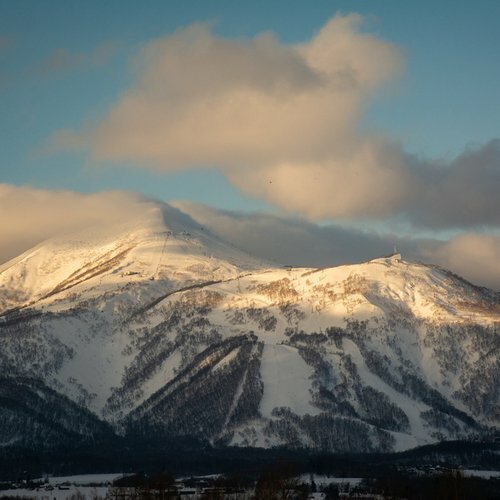 Let us know what sparks your interest and Vacation Niseko can arrange transport to/from the festival, a Sapporo day tour and much more. Check our website for details.